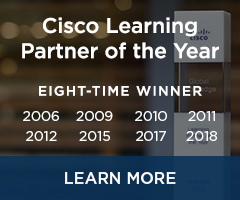 CCIE Data Center certification validates the expert-level skills required for implementing and troubleshooting today's complex data center networks. 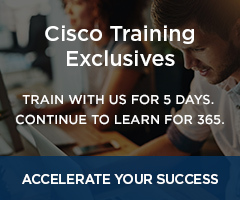 CCIE candidates must have strong technical skills and are encouraged to use Cisco authorized training to fill any gaps before attempting certification. CCNA and CCNP certifications focus on developing a solid foundation. Both certifications are strongly recommended as a path to CCIE, but they are not mandatory prerequisites. The CCIE Data Center written exam validates your ability to design scalable, reliable, and intelligent data center virtualization solutions. You must pass the two-hour, written qualification exam covering concepts and equipment commands related to packet-based networking infrastructure before you are eligible to schedule the lab exam. In the eight-hour, hands-on lab exam, you will configure and troubleshoot a series of complex networks to given specifications. 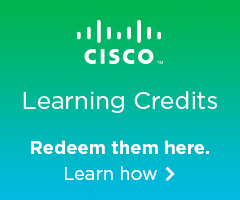 Knowledge of troubleshooting is an important skill, and you will be expected to diagnose and solve issues as part of the CCIE Data Center lab exam. You must make an initial attempt of the CCIE Data Center lab exam within 18 months of passing the CCIE Data Center written exam. If you do not pass the lab exam within three years of passing the written exam, you must retake the written exam before being allowed to attempt the lab exam again.